Rooibos makes it into Marvel Comics! Rooibos makes it into Marvel Comics! Home Entertainment Movies Rooibos makes it into Marvel Comics! Rooibos makes it into Marvel Comics! American media and entertainment giant, Marvel Comics, isn’t an easy medium to break into, however our local celebri-tea, Rooibos, received a mention in the most recent edition of She-Hulk when psychiatrist, Flo Mayer, offered Jennifer Walters (also known as She-Hulk) a cup of… wait for it… ‘Rooibos tea’ to calm her down. 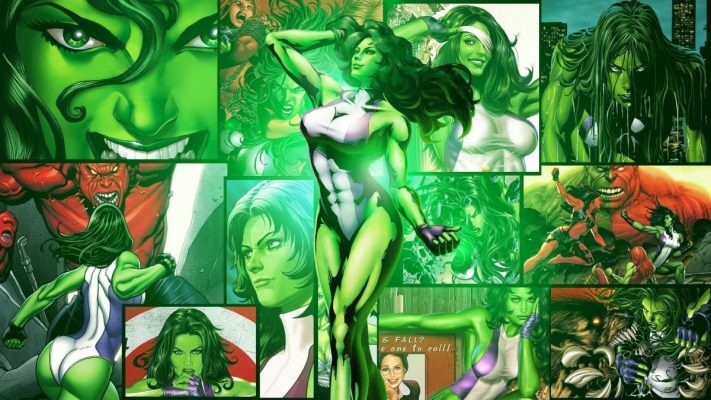 In case you did not know, She-Hulk (Jennifer Walters) is a fictional character that appears in American comic books published by Marvel Comics. Created by writer Stan Lee and artist John Buscema, she first appeared in the Savage She-Hulk #1 (cover dated February 1980). A cousin to Bruce Banner, Walters once received an emergency blood transfusion from him when she was wounded, which led to her acquiring a milder version of his Hulk condition. As such, Walters becomes a large powerful green-hued version of herself while still largely retaining her personality. In particular, she retains her intelligence and emotional control, but like Hulk, she still becomes stronger if enraged. If you’re curious, check out a copy of She-Hulk #162: Jen Walters Must Die, Part 4, Marvel Legacy to see our home-grown star in the making. Watch this space for regular updates in the Entertainment category on Running Wolf’s Rant.